Our new Information pages are now live! Back in January we told you we’d be making some online changes and to keep an eye on our website. We’re delighted to report that the new information area of our website has been up for over a month now and is already seeing an increase in use! Information is now grouped into nine subject areas – Employment & Regulation, Careers Guidance, Family & Personal, Money Management, Retirement & Pensions, Housing, Students, Pre-registration Trainees and Lifestyle & Healthcare. Within each topic are fact sheets grouped by subject, for example, our Employment & Regulation information area covers information relating to Registration, Return to Practice, Whistleblowing, and advice for overseas pharmacists looking for work or pre-registration placements in the UK. In our Student information area information is organised into issues relating to the MPharm degree, the pre-registration training year and student life (currently including debt and bullying, but with more fact sheets to follow). We hope that presenting our information in this way helps visitors to navigate their way around the site easily and source the information they are seeking. Hosting this information on our site will also give us access to more accurate data on the types of information that our visitors seek, and the way that they use our online resources. Pharmacist Support’s fact sheets are kept up-to-date with information and input from relevant organisations and pharmacy bodies, and new fact sheets are frequently added. There is also still an A-Z list of fact sheets should visitors prefer to view the entire directory. More recent additions include new fact sheets for overseas pharmacists, both EEA and non-EEA which can be found in the Employment & Regulation section along with ‘Preparing to work in Great Britain’ and ‘Visa requirements for non-EEA pre-registration trainees’. You can view our new information area here. Can’t find what you’re looking for? 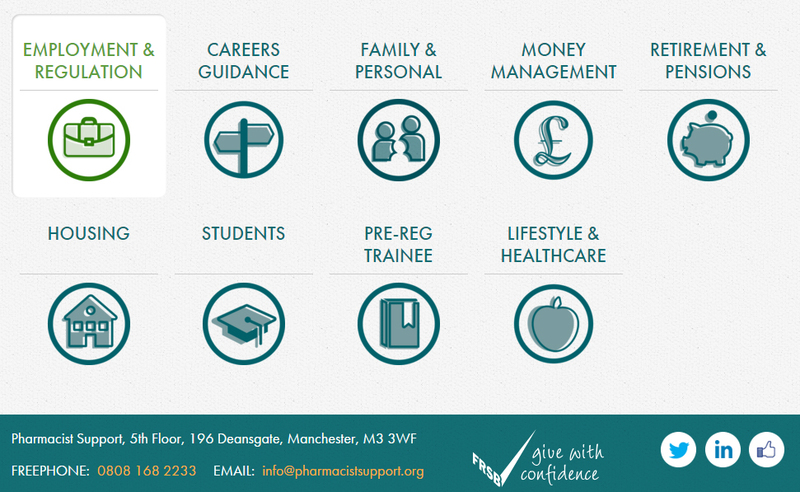 Contact us on 0808 168 2233 or email info@pharmacistsupport.org for assistance.